What’s that? You might think it’s the sound of wedding bells tolling for your impending nuptials, but listen closer. It’s actually the sound of a cash register. Cha-ching. Cha-Ching. Weddings are expensive, as are the tangential costs associated with the big day – a honeymoon, bigger apartment and new furniture, for example. But that’s not the only reason money is ringing in your ears. It’s also because of the monetary potential your wedding registry holds. More specifically, a gift card registry can help you make the most of your wedding presents and thereby eases the financial burden of marriage. What’s a gift card registry? Let’s start with the basics. A wedding gift card registry is exactly what it sounds like: a registry where soon-to-be married couples create a wish list of gift cards rather than specific goods. Unlike a traditional registry, you create a wish list of stores rather than items. Don’t think that Amazon, iTunes and Barnes & Noble will be the only stores available for such a list either. This gift card standard fare doesn’t even begin to represent the breadth of restaurants, airlines, hotel chains, and stores that offer their own gift cards. Nowadays it wouldn’t be an overstatement to say that every store, whether local or national, has its own gift card. With such a big selection, a gift card registry serves two main purposes. First, it’s low maintenance. There’s no creating an inventory or updating your list based on everything you buy or receive before the big day. Second, it prevents duplicate gifts and returns, especially for small-scale retailers that don’t have online registries. Even if you get multiple gift cards from the same store, you can redeem them for different things. How does it lead to better gifts? Let’s get down to business. A gift card registry leads to better gifts for three reasons. 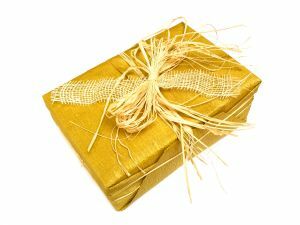 When selecting a wedding present from a traditional registry, a gift-giver’s budget is often diminished by things like wrapping and shipping costs. The result: a less valuable gift. Neither is a concern with a gift card, which means better gifts. As touched on earlier, the things a newly married couple needs most are often rather expensive. Unless you have extremely rich or generous friends and family, you’re not going to get a couch, refrigerator or honeymoon package as a wedding present, and to ask for one would be tacky. There’s nothing wrong with using multiple Lowes gift cards, for example, to purchase a single appliance or piece of outdoor furniture, however. Simply selling your gift cards online is also an option. Certain online gift card exchange services make this process extremely easy and allow sellers to get nearly full value for their cards. That sure beats standing in line to return an item you don’t have a receipt for which may or may not have been purchased at the store you’re in. You’re (ideally) only going to get married once, so make it count. Set up a gift card registry and truly use your wedding present potential to combat your newlywed expenses. Your wallet will thank you! This guest post comes from the editorial team at Card Hub, a leading marketplace for the best credit card deals and discounted gift cards. What better way to get the things you will need to start your new life in probable a new place of residence than to have a gift registry . This does take all the guess work out of what to get the Bride and Groom for a gift . Your article here is very helpful and I would say more so when you consider the different customs in the world and you have covered all of the vital points which in turn is easy to read and can be remembered easily when out shopping for gifts for a wedding . Gift registries are very useful. I always find it frustrating when the couple relies on word of mouth instead of a registry. This is perfect. I’ve lived on my own for several years so I’ve collected a lot of those things like towels and cookware that you seem to get at weddings. It would be nice to pool the money for something bigger though. It is absolutely right that by wedding gift card registry you can create a wish list of stores. It’s a very good idea and I appreciate of your great ideas and tips. Previous post: $10 for Free at Coupon Mob!